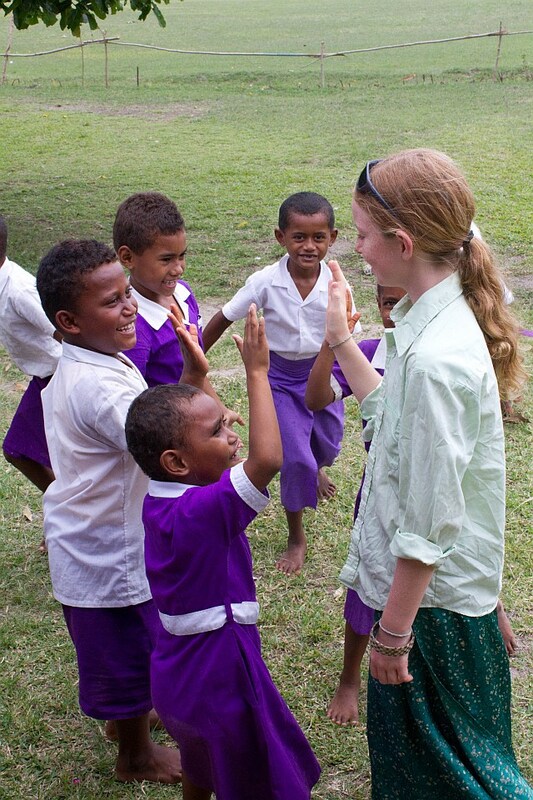 I just visited a Fijian school. Compared with my old school, Emily Carr, this school was tiny! 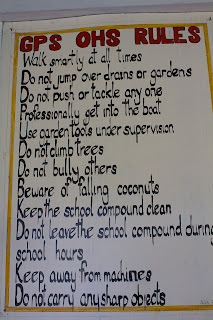 The rules were very different than the rules at Emily Carr. 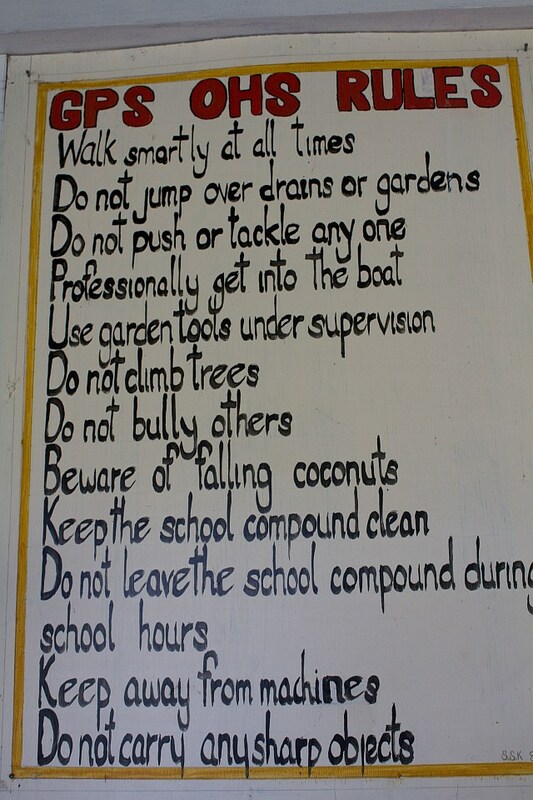 Some of the rules were “beware of falling coconuts” or “get in the school boat professionally”. Also, almost none of the children wore shoes. If I went bare foot to school in Vancouver I'd injure my feet! 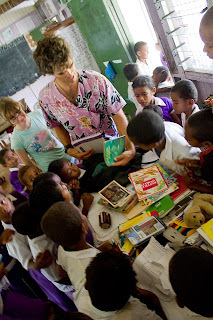 When we went to the school we brought textbooks, books for the school library, and pens and pencils for the kids. They were very excited about having visitors. We were shaking hands and high-fiving kids for ages. They were very hard working and very happy. The school goes from Grade 1 to Grade 8. 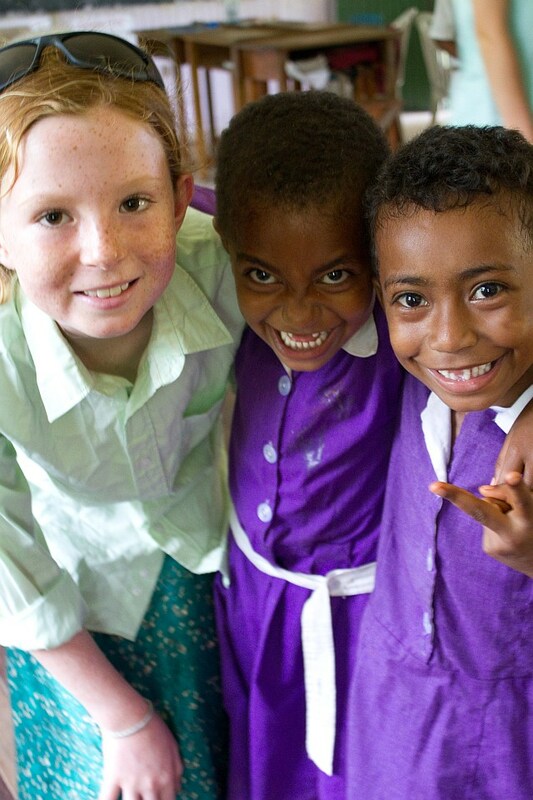 Kids from three surrounding villages go to school there. We had a really fun time and met lots of great kids, the school is really nice and the kids are very proud of it.